NEW YORK -- An emergency room doctor who recently returned to the city after treating Ebola patients in West Africa has tested positive for the virus, becoming the first case in the city and the fourth in the nation. 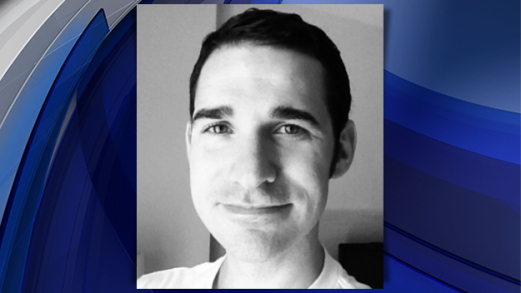 CBS New York identified the patient as Dr. Craig Spencer, 33. He recently returned from Guinea, where he worked at an Ebola treatment center with the aid group Doctors Without Borders. New York Mayor Bill de Blasio and Gov. Andrew Cuomo on Thursday urged residents not to be alarmed by the doctor's Ebola diagnosis, even as they described him riding the subway, taking a cab and bowling. De Blasio said all city officials followed "clear and strong" protocols in their handling and treatment of him. "We want to state at the outset that New Yorkers have no reason to be alarmed," de Blasio said at a news conference, repeating that the Ebola virus can only be transmitted through contact with bodily fluids. "New Yorkers who have not been exposed are not at all at risk." The Centers for Disease Control and Prevention confirmed it is sending a team to New York to deal with the case. The agency will conduct additional tests to confirm Spencer's diagnosis. Dr. Mary Travis Bassett, NYC Health Commissioner, gave a timeline on Spencer's progression after he returned from West Africa. She said Spencer completed his work with Doctors Without Borders on Oct. 12, and left Guinea on Oct. 14, traveling through Europe. He arrived at Kennedy Airport in New York on Oct. 17. Throughout this period, Spencer had no symptoms at all. According to Bassett, Spencer followed the Doctors Without Borders protocol and checked his temperature twice a day after leaving West Africa. During this time he had "limited" contact with others, with the exception of his fiancee and two friends, Bassett said. But he did not stay inside his apartment, either. "We know that during the time that the patient was home, before he became sick, that he did leave his apartment," Bassett explained. "We are aware that he went on a three-mile jog... and he also took the subway system, we know that he's ridden on the A train, the 1 train, the L train. "Yesterday he went to a bowling alley in Williamsburg, he was feeling well at that time except for his feeling of fatigue. The patient went there with friends and he did bowl. The patient was not symptomatic," she said. The Uber driver who took Spencer to the Brooklyn bowling alley, called The Gutter, was the only other person he had contact with. The company said in a statement that the CDC and city health department had assured Uber that the driver was at no risk. Thursday morning, Spencer developed a high temperature and diarrhea. He and his fiancee contacted Doctors Without Borders and the city health department. "As per the specific guidelines that Doctors Without Borders provides its staff on their return from Ebola assignments, the individual engaged in regular health monitoring and reported this development immediately," said Doctors Without Borders spokesman Tim Shenk in a statement. Around noon Thursday, specially trained emergency workers wearing protective gear transported Spencer to Bellevue Hospital, one of eight medical centers in New York State with specialized Ebola units. "When symptoms emerged, he was taken to Bellevue by workers who followed all protocols," said de Blasio. "A team of disease detectives have been tracing all of the patients' contacts and are prepared to quarantine his contacts as necessary." Spencer's fiancee is hospitalized as a precaution and two other friends are being quarantined, Bassett said, but none are showing symptoms. NewYork-Presbyterian/Columbia University Medical Center, where Spencer works as an emergency room physician, described him as a "dedicated humanitarian" who "went to an area of medical crisis to help a desperately underserved population." "He is a committed and responsible physician who always puts his patients first," the statement said. "He has not been to work at our hospital and has not seen any patients at our hospital since his return from overseas." New York Gov. Andrew Cuomo said New York, on both the city and state level, had been preparing for months for the possibility of Ebola cases. "We are as ready as one could be for this circumstance. What happened in Dallas was actually the exact opposite," Cuomo said. "Dallas, unfortunately, was caught before they could really prepare before they really knew what they were dealing with. We had the advantage of learning from the Dallas experience." Cuomo added, "I know it's a frightening situation. But the more facts you know, the less frightening the situation is." The Ebola epidemic in West Africa has killed about 4,800 people. Other than Spencer, only three people have been diagnosed with the virus in the U.S.
Thomas Eric Duncan, who fell ill shortly after arriving from his native Liberia in September, succumbed to the disease at Texas Health Presbyterian in Dallas earlier this month. The two other patients, both nurses who cared for Duncan, are being treated in specialized Ebola units. Nina Pham is being cared for at the National Institutes of Health in Bethesda, Md., and Amber Vinson is at Emory University Hospital in Atlanta. Several other Americans who contracted Ebola in West Africa have been successfully cured after returning to the U.S. for treatment.